Calla Blanche Designer Brand New. 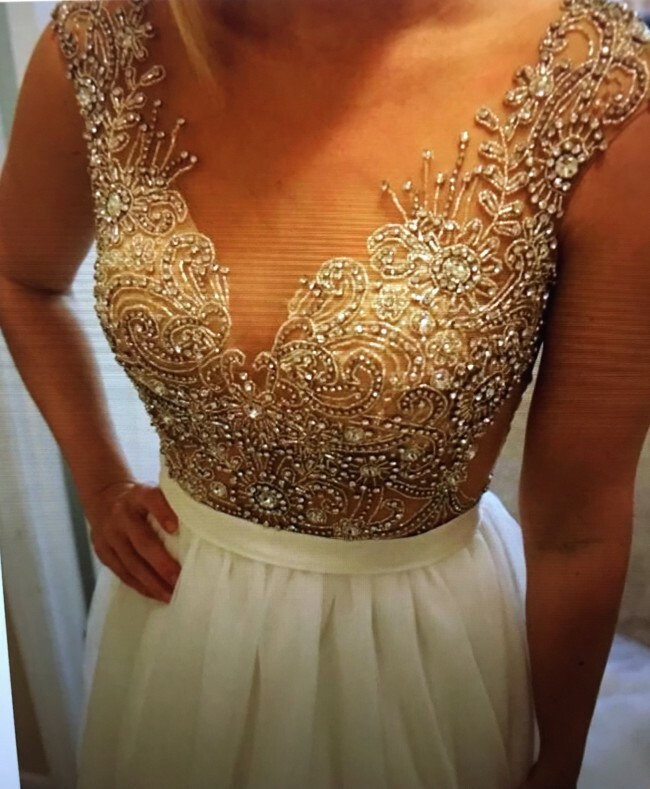 Including Beaded waist band/ Beaded edge trim veil (value $425) Gorgeous crystal/beaded illusion neckline bodice, Tulle Silhouette Ballroom length. Removed some under tulle from lower section of dress to form a gradually layered effect,which is more flattering. Once you send a message, Bernadette can invite you to purchase the dress.